After reading this website, I would like to make some comment about Brazilian situation and compare it with Venezuela. 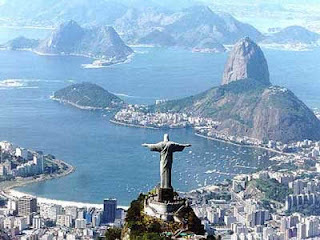 - Brazilian policies have proven so far to be succesful. - Petrochemical business are no longer looking directly to exports, but domestic market (fueled by coming Olympics and World Cup), is increasingly important. - Market funds specialists recomends to invest in three different places: China, India and Brazil. Brazil actual position could offer competitive prices, but the real challenge is to offer differentiated position, a long chain of added value. R&D opportunities are huges. Venezuela in the other hand, could benefit in the surge of polyolefins demand in Brazil, by strenghtening cooperation mechanism, petrochemical business in Venezuela should offer solution to some of the Brazilian challenges. A well planned strategy, focusing on regional integration and cost differentiation. Finally, for both countries, Venezuela and Brazil, they have to focus in the long added value in petrochemical business. If one of the links is missing, the potential could be undermined.